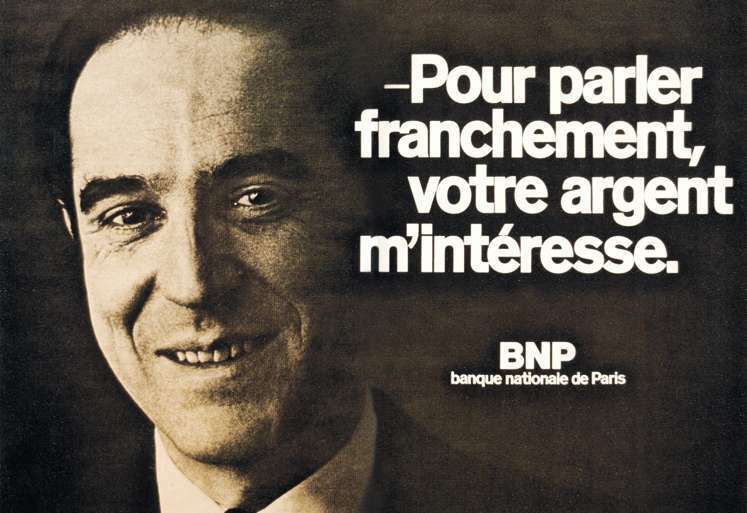 Tarek Chemaly: Lebanese banks, take a cue from the BNP 1973 ad. 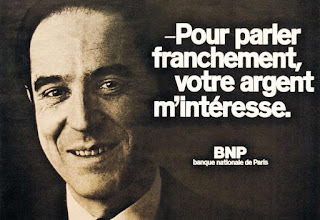 Lebanese banks, take a cue from the BNP 1973 ad. Sunday mornings may not be the best time to talk economics, yet here I was speaking economics with someone arguing marketing and telling me the BLOM ad is actually good (see here). People with all due respect, apart from engineering I studied economics too and no - the numbers are not in. Neither in the BLOM "b7ebbak ya Lebnan" (I love you Lebanon), nor elsewhere. It is like applying a bandage on a wound that is bleeding - or applying a bandage when the wound is entirely elsewhere. Thankfully my retired banker CEO friend (on a follow up talk elsehwere, also on Sunday morning - eye roll) cracked it and asked me: "Is the Lebanese banks' aim to fix the economy or just look like they are?". Obviously it is the latter. Which brings me to the BNP ad published on March 15, 1973 - "to speak frankly, your money is of interest to me". There you go - it was that simple dear Lebanese banks, stop dipping it in patriotic sauce. Take a cue.